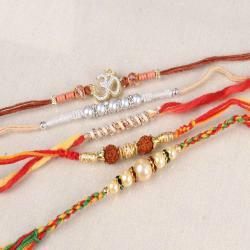 Product Consists: Collection of Five Sphere Rakhi Combo nicely tied on a Designer Card. Designer Rakhi set for the loved one on the occasion of Raksha Bandhan will be a great idea to amaze them for the eve if you are far away. 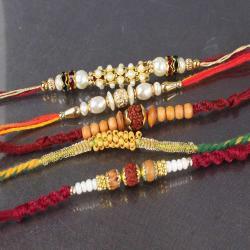 Make your loved one feel your presence with them by sending this amazing set of five Rakhis designed especially for the occasion. 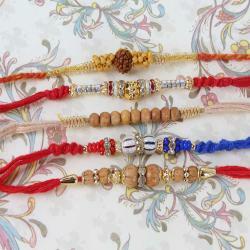 Set of five Rakhis each different from one another in design and style look great. Each one of them has their own style which will match well with styles of your loved one. These beautiful Rakhis are tied on a designer card to keep them safe and secure. 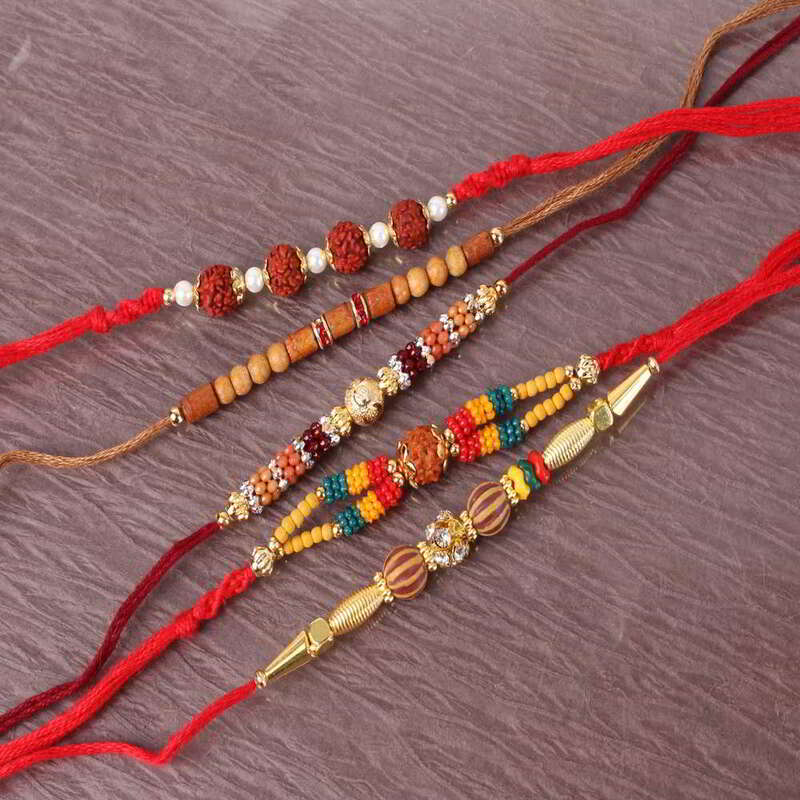 Product Consists: Collection of Five Sphere Rakhi Combo nicely tied on a Designer Card.